Manufacturing in North America is on the rebound. Part of this is driven by strong economic growth in most global markets. And part by the fact that manufacturers in North America continue to innovate. Looking to the future, manufacturers will be investing in a wide range of disruptive technologies that fuel this innovation. 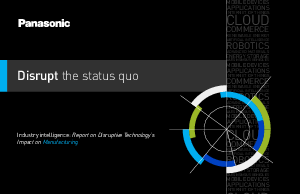 This report examines the trends, attitudes and behaviors toward these disruptive technologies that are determining the present and future of Manufacturing.